Jay Tuck was born in Brooklyn, New York and graduated from Wayne High School in New Jersey. During his studies, he worked as an orderly in Bethesda Hospital, as a reporter for the Mooresville Times, as a social worker in Harlem and as an Economic Apprentice for the US Justice Department in Washington. In 1968, he received his Bacholor of Arts diploma in Economics from Antioch University (Yellow Springs, Ohio) and soon departed the United States for Germany. Jay Tuck’s TV career was launched right after college at CBS News in New York. In Germany, he joined the German ARD Network, first as a free-lance local reporter and later as Executive News Editor of the national network news magazine ARD-Tagesthemen. 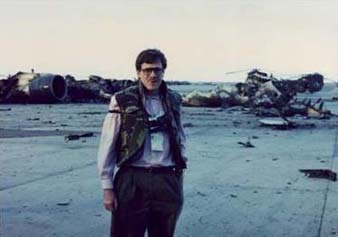 In the course of his career, Jay worked as investigative reporter and as a war correspondent in Iraq. He retired from the ARD in 2005. Aside from two award-winning student films, Jay Tuck has contributed professionally to several top international cinema projects, including “Mute Witness” (Directed by Anthony Waller, Sony Pictures) and “Alone in the Dark” (Starring Christian Slater, Lions Gate). Jay appears regularly on countless cinema trailers and commercials. His deep baratone voice has also been the choice of leading film producers and televison networks for their trailers at the MipCom and Lions Film Festivals in Cannes. Jay Tuck’s rich experience in European broadcasting, combined with his intimate knowledge of Middle East media through his current company Airtime Dubai has made him a coveted international speaker. 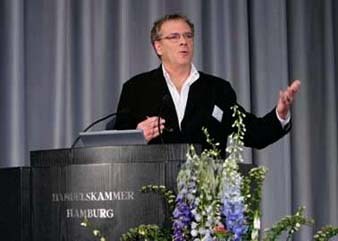 In July 2006, for example, Jay was invited to address the World Bank in Hamburg.